Homeowners, especially those who have kids and pets around are constantly on the lookout for fast and effective ways to clean the house and maintain it. But if you do not have enough time in your day to clean, it is a must that you find something that can help you with the things you need to do. One way of saving time and energy is by having a cordless handheld vacuum. In this article, we will go through three of the best cordless handheld vacuum to learn and understand their features and identify which one can work well for you and your home’s cleaning needs. What are Cordless Handheld Vacuums? Cordless handheld vacuums are like the mini-version of upright vacuums. They operate on the same principle of removing dirt by sucking them in and depositing these into a dirt cup or bin. Vacuum cleaners are a quick and effective way of easily removing dirt from surfaces, making them great to have around especially if you have a busy and hectic schedule but would still like to maintain the cleanliness of your household. For cleaning surfaces above your floors, cordless handheld vacuums are very useful. Since they are handheld, you can easily carry them around the house to do a quick cleanup. Furthermore, their cordless feature lets you do your cleaning without being limited to the length of your electric cord or the presence of an electrical socket nearby. In addition to these benefits, handheld vacuums can be efficient to use in cleaning hard to reach areas, the interior of your vehicle, and even your upholstery, unlike the regular upright vacuum that focuses on cleaning floors. Finding the right cordless handheld vacuum that can provide you superior performance and the most number of benefits can effectively save you the time and energy from cleaning. If you are looking for a handheld vacuum that can help you clean hard to reach areas, then the Black + Decker CHV1410L 16V Cordless Lithium Hand Vacuum is a great choice. It features a lightweight body so you can easily carry it around with you when cleaning rooms in your house. Since this handheld vacuum has a cordless feature, you can also use it to clean your car without having to worry about a place where you can plug it in. This handheld vacuum features a “Smart Charge Technology” that uses 50% less energy when used. Furthermore, its charging station automatically shuts off whenever the batteries have been fully charged, preventing the batteries from becoming burnt out. This handheld vacuum comes with a cyclonic action feature that claims to keep the dirt trapped inside the dust cup and prevent it from coming out. With its translucent dust cup, you can easily see whenever you need to empty it out and clean it. 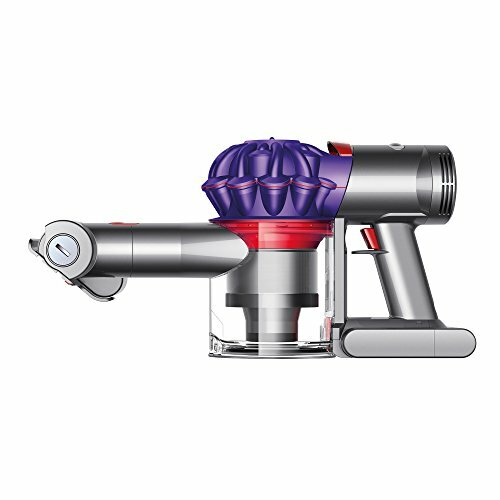 The Dyson V7 Trigger technology delivers a unique “2 Tier Radial Cyclone” feature that increases the flow of air so users can get a stronger and more powerful suction when vacuuming. 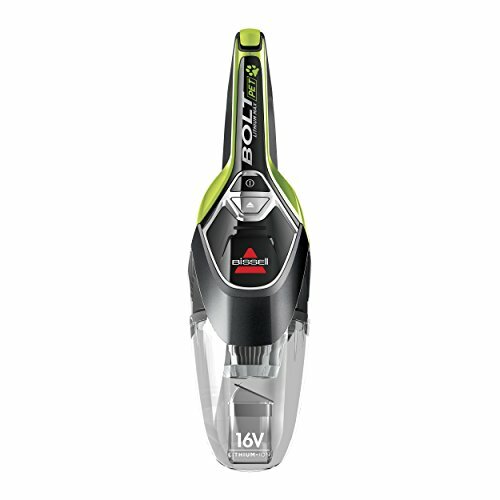 Coupled with the power dense motor using digital pulse and special magnet generating a faster speed, it claims the strongest suction of any hand held vacuum cleaner. For homeowners who would like to clean their rooms, lift up dirt from surfaces, get rid of pet hair, and even clean the interior of their vehicles, this handheld vacuum can do great work. It has an ergonomic design that makes it more easy to use, while the brush and pointed tip attachments help users to clean hard to reach areas better. 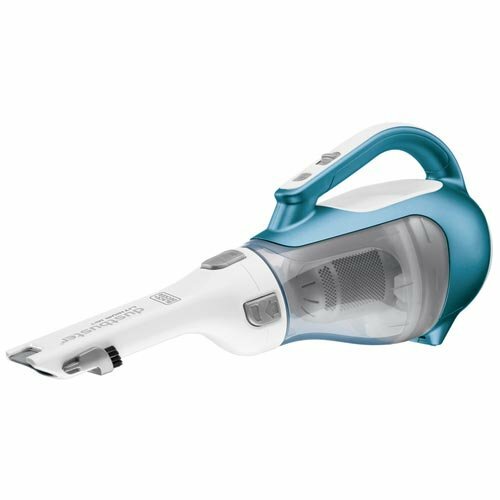 The Bissell Bolt is a great device to have around the house and works well on hard surfaces and carpets, lifting dirt, dust, and hairs in a single glide. Since this device is lightweight and portable, you can easily use it from room to room and even clean the interior of your car without any hassle. It comes with a detachable head brush that helps you remove and lift up dirt to provide a better and deeper clean. This handheld vacuum also comes with an upholstery tool and a crevice tool that you can use depending on what you need to clean and the attachments can be stacked together or used separately. These three cordless handheld vacuums are ranked on top among other models sold in the market nowadays as providing the best suction power for faster and easier cleaning. 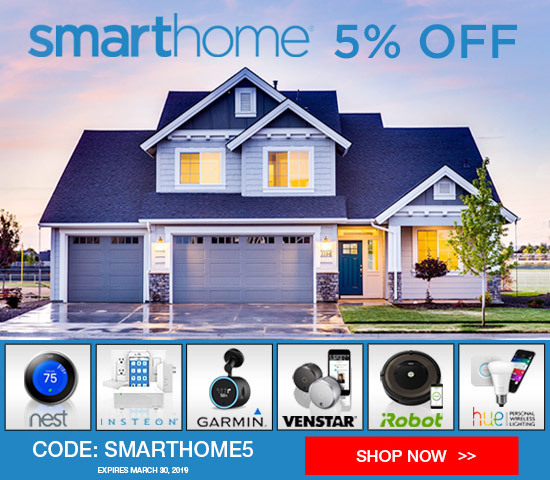 Since they are cordless and handheld, users can easily carry them and clean from room to room without lugging a heavy appliance or worrying about using it near an electrical outlet. What’s more, these handheld vacuum cleaners can be used to clean upholsteries and car interiors. Which is the Best Cordless Handheld Vacuum? All these three cordless handheld vacuum cleaners provide fast and easy cleaning. Ultimately, and as much as we love the Dyson series, we reckon the Bissell Bolt 2133 Cordless Handheld Vacuum Cleaner provides the most attract price point for the features on offer – especially if you are looking at this as an addition to your existing vacuum/cleaning setup. This is primarily due to the attachments that come with the handheld vacuum cleaner, making it more multifunctional and dynamic for everyday use.